Dia de Muertos (Day of the Dead) and Hanal Pixan (Food of Souls) are Mexican holidays that celebrate the lives of loved ones who have passed. Families and friends perform various rituals like setting up an altar and decorating cemeteries and await the return of the souls of their beloved on November 1, when infants and children are celebrated, and November 2, when adults are honored. Here are three ways to celebrate this meaningful Mexican holiday in Cancun. 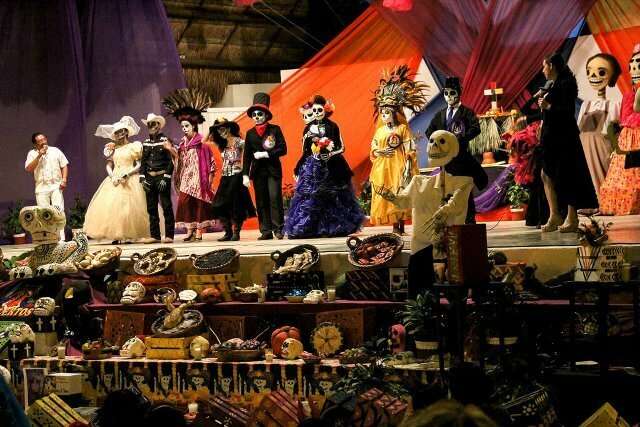 Each year Xcaret Park holds a vibrant Day of the Dead festival; Festival de Tradiciones de Vida y Muerte (Festival of Life and Death Traditions), October 30 through November 2. The colorful celebration showcases the best of Dia de Muertos (Day of the Dead) and Hanal Pixan, the Mayan version of the holiday, through theater, dance, expositions, a mass, exhibits, altars, music and food. There is even a children’s pavilion with activities, performances and games. Each year a different Mexican state is invited to participate. This year that state is Puebla. Alltournative, a company that offers sustainable natural and cultural tours in the Cancun area, offers a yearly authentic Hanal Pixan (Mayan Day of the Dead) experience on November 2. The program allows for participants to share in this traditional holiday with local Mayan families. The festivities include the decoration of altars, while learning the significance of each element, a Hanal Pixan ceremony performed by shamans in a cenote, and the “Dinner of Souls”, where traditional Hanal Pixan dishes prepared by the local Mayan community are served. 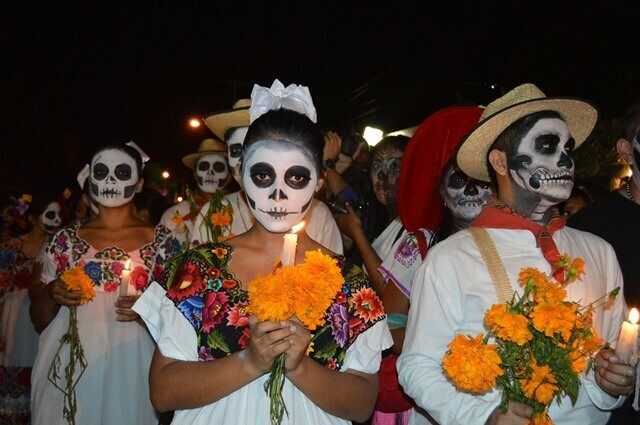 October 31 through November 2, the city of Cancun holds the Festival del Día de Muertos “Cena de Ánimas” (Day of the Dead Festival, Dinner of Souls). Over 450 artists participate in 16 programs that will take place in different locations; Plaza de la Reforma del Palacio Municipal, Teatro 8 de Octubre, Parque Las Palapas, Parque Bohemia, Parque del Pintor, Luum Pakul and Centro Cultural de las Artes. (Parque Las Palapas would be the easiest for visitors to find). 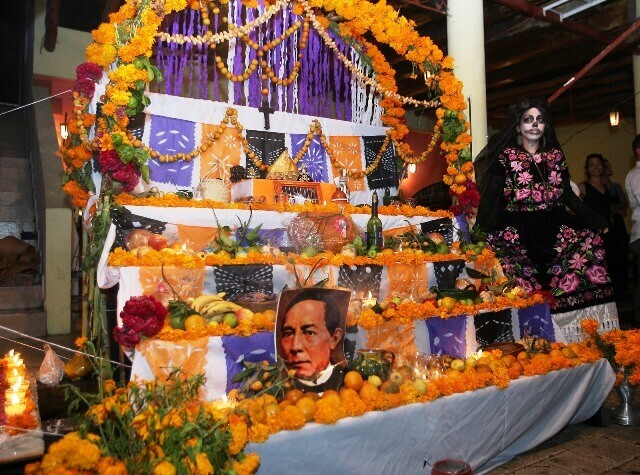 The festival will include altars, traditional Day of the Dead food and artistic performances. The activities begin daily at 5:00 pm with a parade that will start at Avenues Chichén Itza and Tulum and end in Parque Las Palapas. Hacienda Tres Rios will also offer its guests their own celebration with traditional Day of the Dead food and Halloween activities for our little guests.